Do You Want Growth or Comfort? 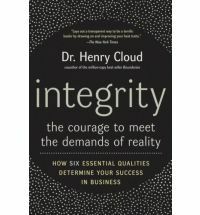 If you have spent any time with me this month, you know I have been reading Henry Cloud’s book Integrity: The Courage to Meet the Demands of Reality. I think it is my book of the year so far. Okay it is only the first month and I have a lot of reading to go. But I am in 7 or 8 other books and this was just brilliant! I keep rambling and raving about it. Sorry if you are sick of it. If you want it, I’ll buy you a copy. It’s epic. Okay maybe not all of you. I don’t have that much cash. I work for a non profit! ha ha. Nearing the end, chapter 5 is about increase and growth. It struck me how much this is one of my biggest desires in life. A fear I have long held is growing to be apathetic. I have revolved much of my life around fighting that and being a person who makes decisions so that my life is one of passion and purpose, the antipathy of apathy in my book. This book has also highlighted areas in my life of avoidance, laziness, certain areas I could be better at taking risks to push myself to grow more. Because I learnt once that “beginning with the end in mind” was a wise way to live. I still think that is true. My phrase of 2013 so far is “Reality is Your Friend” .. stolen from this book, a reminder to live in reality in lots of different areas of my life so I can grow spiritually, socially, emotionally, as a person, a boss, a co-worker, a friend, a daughter, desires for marriage and the type of man I am looking for, goals musically, health and fitness, and in serving others. If I am not engaged in what is REAL.. and am living in denial or delusion or avoidance of the truth.. little will change in a productive direction. Cloud spoke of one of his clients whom he was an advisor to. Someone who never wanted to deal with the negative in life and engage with reality so they could change but only sought “positive” advice, encouragement and what would enable them to stay put. It crippled his entire life. “But, what stood out to me was that this guy was narcissistic and had to always be seen in a positive light. So, he did not have the option or the choice of gaining good things from someone who was not going to coddle him and make him feel smart. His need to feel good about himself overshadowed his drive to grow. As a result, he just gravitated toward people who stroked him. I have followed his work for over twenty years and seen him gravitate from one thing to another that always had the same “feel good” and “seem smart and special” quality. He has never really gotten far with any of it, and none of it has developed into much. But, I am sure that he has felt comfortable along the way. Cloud, Henry (2009-10-13). Integrity: The Courage to Face the Demands of Reali (pp. 227-228). HarperBusiness. Kindle Edition. Here are the six aspects of character that Henry looks at throughout the book. I bet all of us could take a good hard look at ourselves and see some things that need to grow. Or perhaps we can’t see them and that is why we aren’t oriented to reality. ;0) I challenge you all to grab a copy of the book and have a read and do a life 360. Previous Post One Life.. What’s It All About? Next Post That moment when you think again.. my dad is just great.